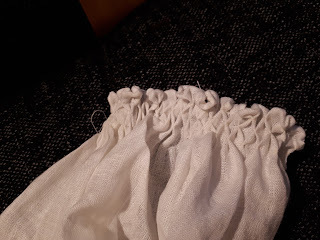 I have finished the smocking of the shift now. 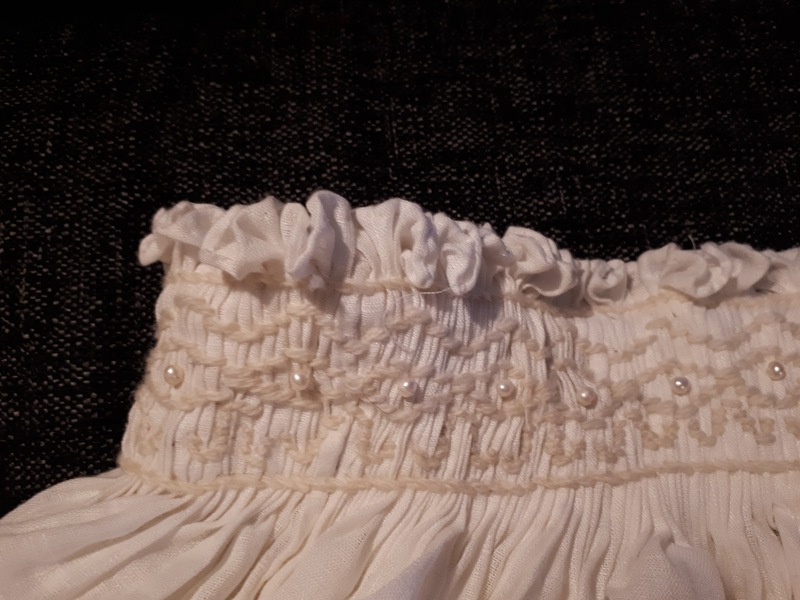 Previously when I have worked with smocking I have used honeycomb smocking, but I felt that with the amount of very tightly gathered fabric that wouldn't be a good solution for the smocking around the neck. 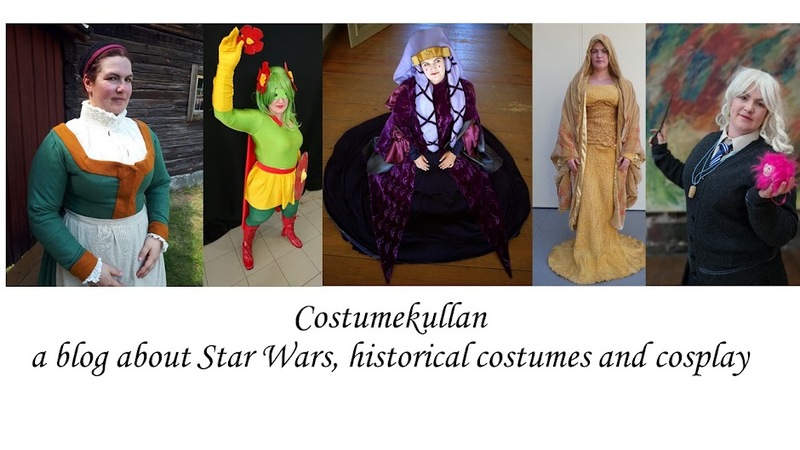 I did use a lot of the information about pleatwork and smocking that can be found at The German Renaissance of Genoveva. 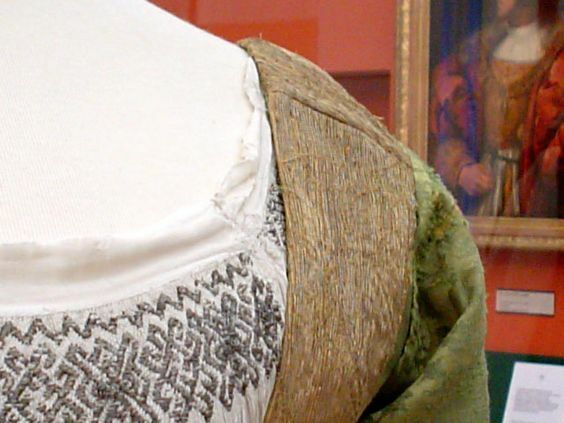 Looking around at references it seems as if the stitching was mostly done in black or metallic thread. I am not a fan of that look though, so I decided to instead make a whitework embroidery, using unbleached wool yarn instead. I did not use a specific garment or picture reference for my embroidery, but I was definitely influenced by the embroidery on the wedding gown of Maria of Habsburg from 1520. I also found that I had a handful of small freshwater pearls that I added to my embroidery. For the cuffs I used honeycomb smocking though. 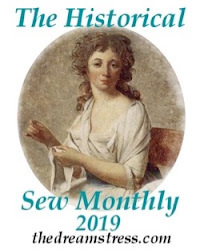 It's an elastic smocking stitch, so I'm hoping that will mean that it will be possible for me to sew the sleee shut all the way, and not having to fiddle with fastenings at the cuffs. 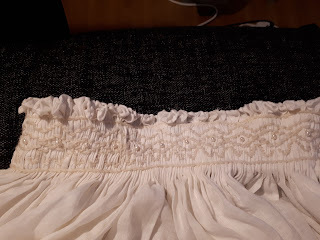 The things I have left is to sew the sideseams and sleeves, do some kind of fastening for the neck and of course hem the whole shift.